Ah, London: the original home of the pop-up phenomenon. But this giant distillery isn't another in a long list of overhyped, overbooked and overpriced one-offs. If the idea of a sleepover in a gin factory doesn't sound appealing then we don't know what does. Calling all gin fans: Portobello Road Gin is about to make all of your wildest dreams come true as it's opened a four-floor distillery dedicated to the nation's favourite spirit. Located on the corner Talbot Road and Portobello Road in West London, it's a must-visit for anyone who calls themselves a dedicated gin drinker. The themed pop-up has something for everyone - from casual G&T drinkers to wannabe connoisseurs - boasting a traditional bar serving only the finest varieties of the spirit, a 'Gintonic' restaurant, a fully-functioning distillery and an obligatory gift shop while a museum adds educational value. When you get bored of drinking the craft gins on offer (and pretending to soak up the spirit's history), you can turn your hand to blending your own version of your favourite drink as well as conjuring up your very own cocktail at the centre's appropriately-titled 'Ginstitute'. But the most exciting feature has to be the handful of boutique hotel rooms available which make the venue the capital's first ever distillery offering sleepovers. The Distillery's founder said: "There's so much to do and see at The Distillery from just coming for a great drink or meal to making your very own gin. 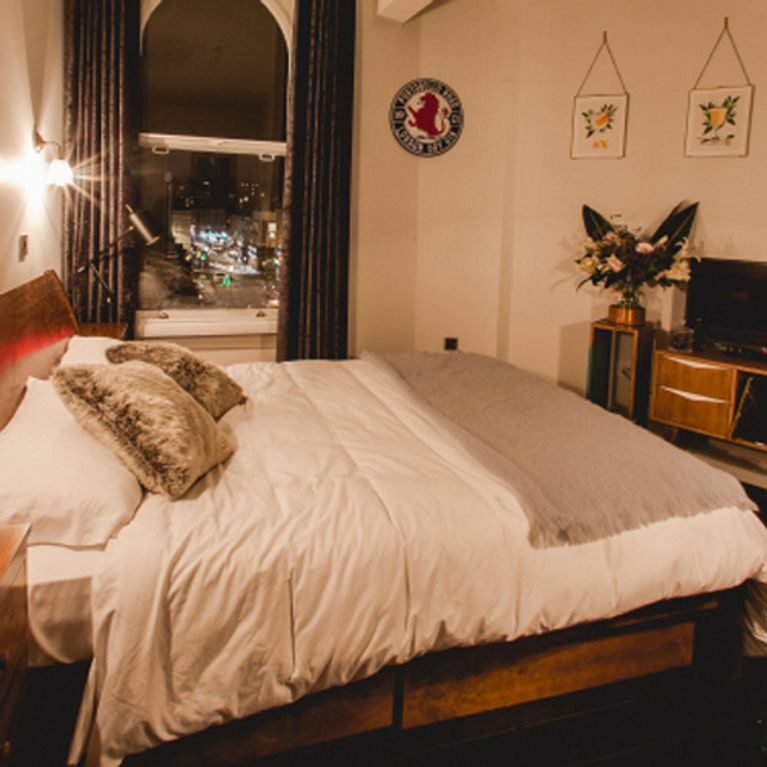 We're particularly excited to be able to introduce guest rooms to the venue, allowing visitors to stay above a working distillery and to wake up overlooking the hustle and bustle of London's most iconic market street." An overnight stay at The Distillery, including breakfast, is priced at £150.